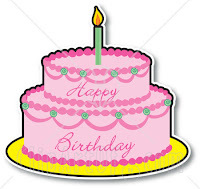 February 5, 2010 saw the first anniversary of MEBO Research, registered in England and Wales as a limited non-profit company. It hopes to become a charity, and it would need £5000 in assets to register as a charity in England. 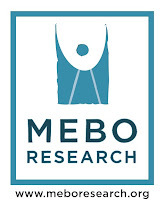 MeBO sees itself as a patient advocacy group on behalf of systemic body odor sufferers particularly by raising awareness and promoting research. It has been a busy year in 2009, getting the paperwork done correctly to establish this nonprofit organization. Nevertheless, it was deemed important to get the first 'special forces' study going, and this was started with the help of Biolab Medical Unit in London. The MeBO-Biolab Gut Dysbiosis Study was begun, with the volunteers kindly paying for their own tests. So far 5 results have been returned with more pending, and more volunteers applying to be tested. Part of the objective of this study is to encourage professional researchers to take a note of the results and perhaps give them ideas for research, as well as the study being useful in itself to each volunteer and other members of our community as patterns emerge from the results. For the 2nd year, MeBO switched to a new 'official address' for £47 (per year), since the old one was more costly. Last year, Maria paid £89 from her own money for the address, but the renewal for the year 2010 for £47 was paid with the funds donated by the community, for which we are very grateful. A yearly address is needed to keep the company in proper legal standings. So far £530/$862 has been raised, for which we are very grateful. One of the aims in 2010 is to reach £5000 goal to become a charity and hopefully register in the U.S. as well. However, if community opportunities arise, it may be deemed important to fund MeBO's causes too, as we invested £125 in the MEBO-Biolab Gut Dysbiosis Study, and an additional £902 needed to cover the cost of these tests were donated by the 5 volunteers for their own respective tests. Donations will also be used for the upcoming International Body Odor and Halitosis Webinar Series, which will benefit the whole community for a long time to come; it will be free of charge to up to 1,000 attendees worldwide during each presentation. This webinar will cost MeBO £100 a month for the duration of the Series. DONATIONS FOR THIS WEBINAR SERIES WOULD BE GREATLY APPRECIATED. The more funds raised, the longer we can receive valuable presentations from the experts and thus increase our opportunity to fund raise for research grants and to raise awareness and understanding of our condition. Your donations would be greatly appreciated by the whole community.